Founded in 1961 as Adirondack Community College, SUNY Adirondack is sponsored by both Warren and Washington Counties. 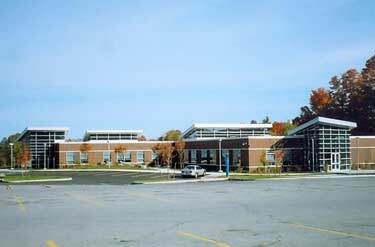 The main campus is located 2 miles from exit 19 off the Northway, in Queensbury, NY. It is just 15 minutes from Saratoga, 45 minutes from Rutland, Vermont and 60 minutes from Albany. SUNY Adirondack is a comprehensive community college with many four-year programs. It strives to offer its students affordable, high-quality transfer, career and technical credit programs. The majority of students commute from Saratoga and Warren Counties. The student to teacher ratio is 17:1. This means teachers are available and the classes are small. SUNY Adirondack offers over 25 different academic and special interest organizations, 6 National Junior College Athletic Association (NJCAA) Division III Men's sports teams, 6 NJCAA Division III Women's sports teams, and 10 intramural and club sports teams. This gives students many opportunities to get involved and further interest in extracurricular activities. SUNY Adirondack offers the best resources to get students on the path to a better and brighter future. Whether your goal is to transfer into four-year program or to get yourself a more rewarding career, SUNY Adirondack can help you achieve it.